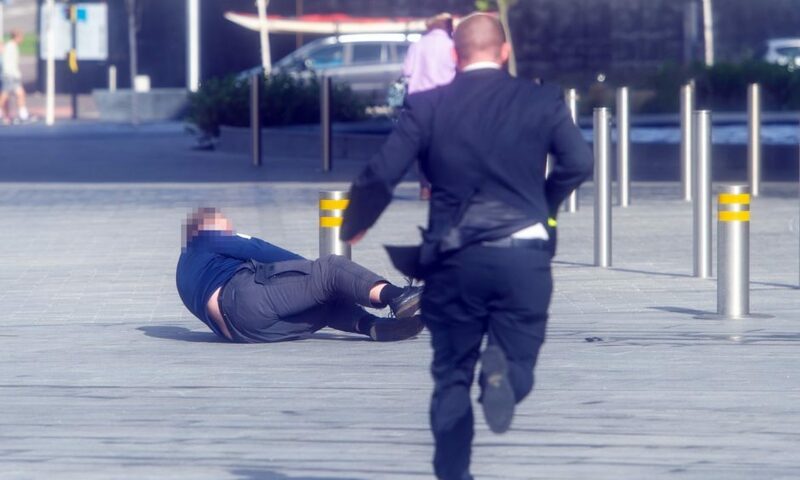 A man rushes to help after another man was swept off his feet by the strong wind outside V&A Dundee. The museum has closed to new visitors this afternoon after the ferocious wind swept people off their feet outside. Staff at the venue, which opened over the weekend, say “exceptionally high winds” at the entrance mean they are preventing new access this afternoon. Members of the public struggled to stay upright as wind whipped in from the Tay. One man fell to the ground and had to be helped up. 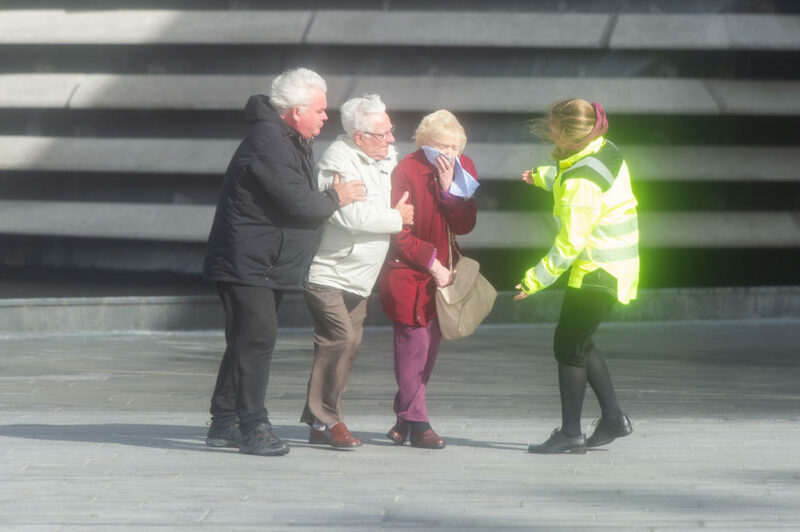 Staff come to the aid of some elderly visitors outside V&A Dundee. Anyone already in the museum is being invited to stay inside until normal closing time at 5pm if they wish. It is hoped the conditions will have improved by then. V&A Dundee had earlier tweeted video showing visitors viewing the storm from the museum’s angled windows.